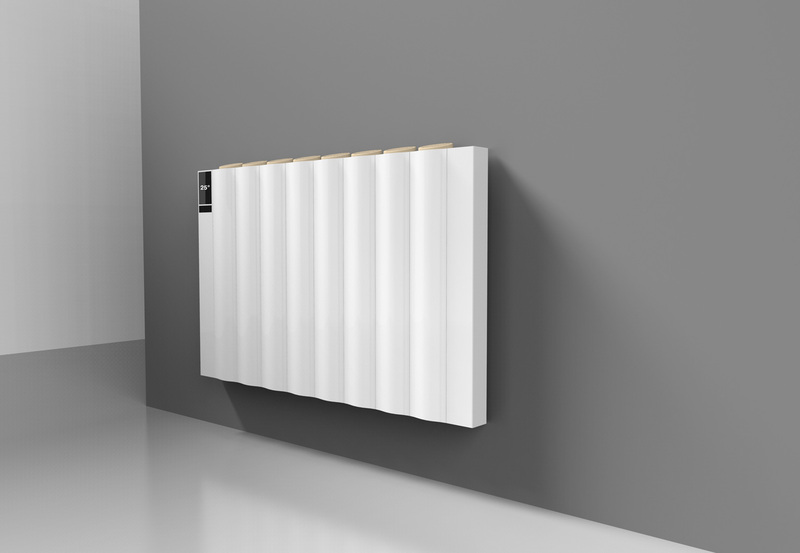 This electric heater is designed for the Asian market. The product is made from extruded aluminum modules allowing different sizes in width. 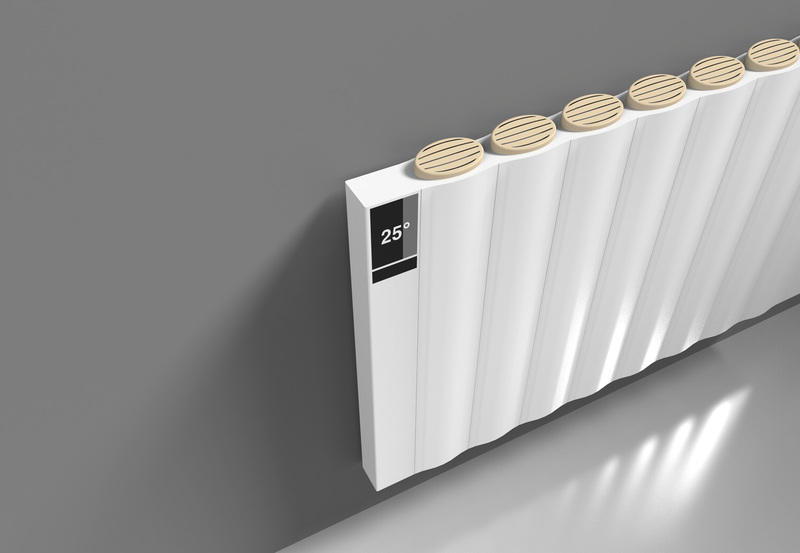 Movable upper plastic covers with holes allow hot air to flow heating the environment. 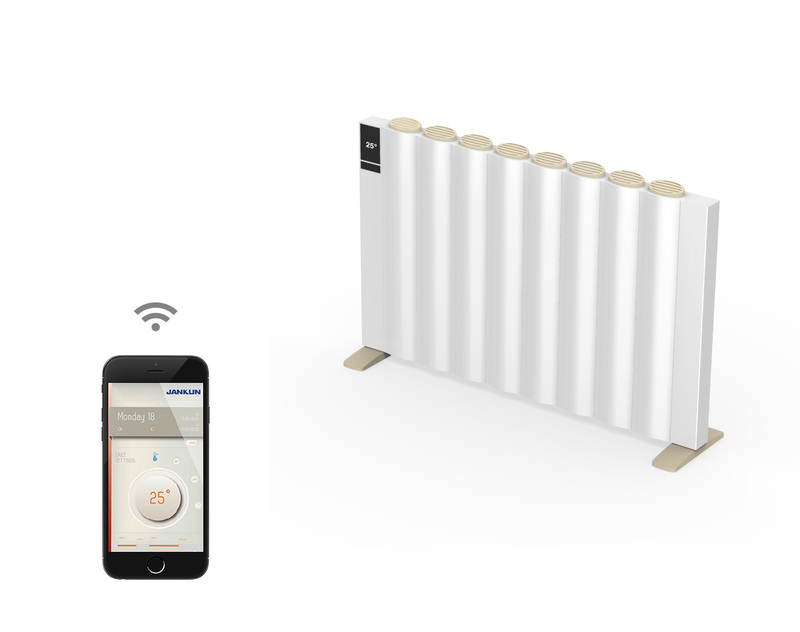 Temperature can be controlled either from the control panel or from a dedicated application on your smartphone. We decided to keep the classical colors of the most traditionals heaters exept for a saturated colour palette to highlith the air vents.